Stress relieving provides controlled heating and cooling rates allow for the removal of internal stress generated by manufacturing and welding processes. Stress relieving prevents post manufactured parts from distortion or stress cracking. This process operates at a relatively low temperature and does not produce significant change to the materials structure or mechanical properties. Contact Thermex for more information on our Stress Relieving capabilities. 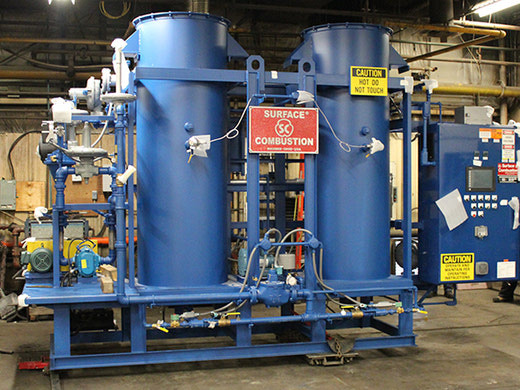 A new endothermic atmosphere generator has arrived at Thermex Metal Treating. This new addition is part of Thermex's commitment to the latest in atmosphere control technology.